“Create-a-Box Online” is a program designed for a “Family on the Run” who wants to participate, but is unable to shop and pack boxes themselves. It is an opportunity to help a child overseas and conveniently allows you to “Pack and Pay” online. 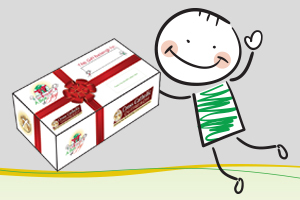 Simply select a gender and age group pay for the gifts and shipment of the box, and we’ll do the rest! Our team will receive your order, pack the Box of Joy with items such as; toys, school supplies, candy, creative activity items, hygiene items and clothing, and then we will ship it on your behalf.